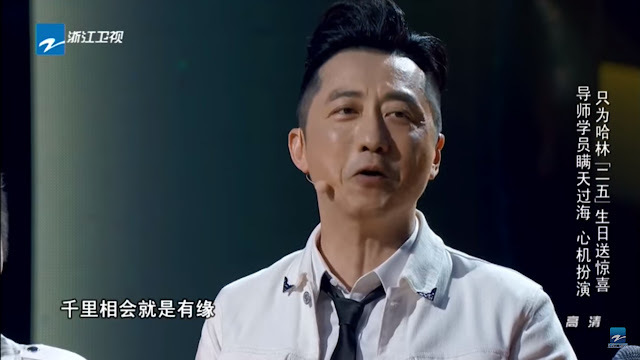 Here you can watch the entire SING CHINA Season 1 Episode 3. The episode commenced with a performance by the trio from Harlem's team - my favourite VOC Season 4's contestant - Tan Xuan Yuan 谭轩辕, Zhao Da Ge 赵大格, and Da Shan 大山. This special opening is to celebrate Harlem's birthday on 27 July. 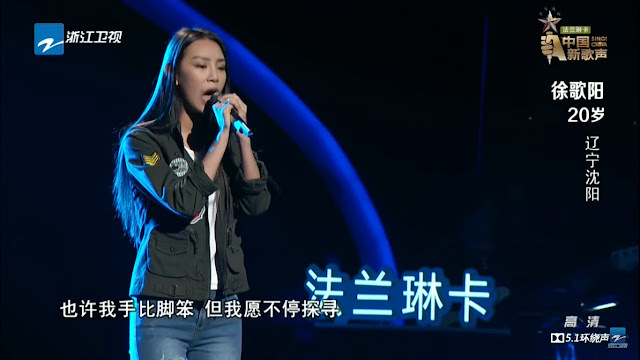 They sing Harlem and his first season's disciple - Momo Wu's first collaboration song - 我要给你. Tan Xuan Yuan picks up the first line, and he is just as good as ever. Na Ying recognizes his voice instantly. I personally think that Zhao Da Ge improved, and now she has own distinctive character in her voice. Three of them are not as powerful as the original Harlem and Momo collaboration though, maybe from the lack of chemistry. Momo sends her wishes through a video. Thereafter, all the judges gather on stage for a cake-cutting session. With a command for 'David Reset' (rolling back of the judges' chairs), the competition begins. 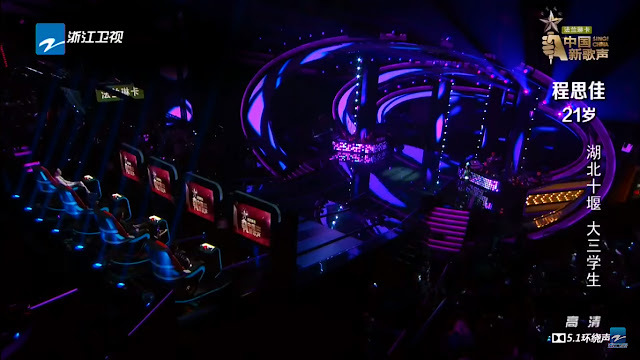 The first contestant has an amazing, powerful voice and she sings Bang Bang by Jessie J. 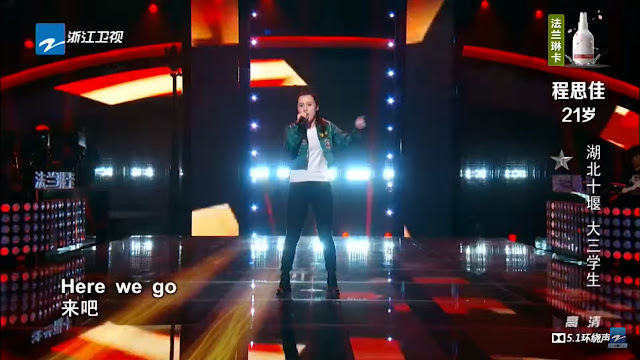 She sends all the judges into a frenzy with her energy. She is 程思佳 (Cheng Si Jia), a 21-year old girl from Hubei. More than halfway into the performance, none of the judges are hitting the button yet. Her rap is very good. Interestingly, Na Ying is the first to smash the button because this contestant seems least like her style. Soon after the other three judges rush down - yes, she's a 'four-star' contestant! Deservingly, I think. She should be able to last quite a while in the competition. In the end, Cheng Si Jia chooses Team Jay Chou. She totally fangirls over him. 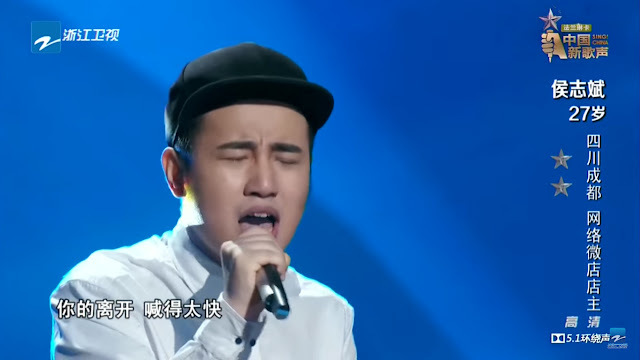 Blogshop owner 27-year old 侯志斌 (Hou Zhi Bin) performs a Jay Chou 2016 new song 爱情废柴. His voice is quite mainstream and "CD-quality" for some reason, enjoyable but still nothing special. Na Ying and Jay Chou hit the button! Jay Chou explains the background behind his inspiration for this song. Na Ying sings a line of the song simply, and immediately we hear the certain missing X factor in his performance. He chooses Team Na Ying, which will help him greatly I think. When I saw the song choice 追梦赤子心, I knew it is definitely a contender to be seriously considered. 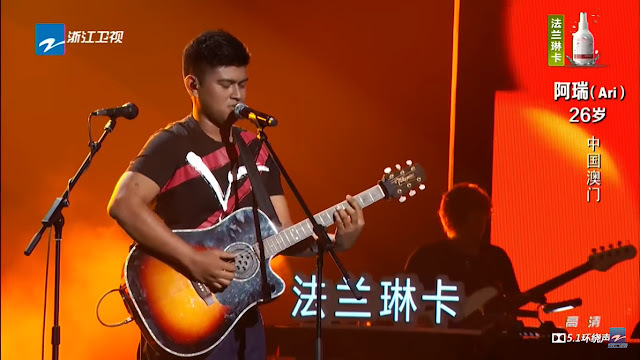 It is a darn difficult song that the runner-up 张恒远 Zhang Heng Yuan of VOC second season challenged in the finals, and he nearly slaughtered the song. Interestingly, 徐歌洋 (Xu Ge Yang) performs it beautifully and mastered it almost effortlessly. Her stage persona mirrors 陈冰 Chen Bing. And without surprise or hesitation, she chooses Team Wang Feng. Want to read the fourth episode's summary? Read it here. 姚希 (Yao Xi) sings.... what....?! The hottest song in wherever there is Chinese people - 小苹果!!! She changes it up, with a jazzy touch from the super overplayed, crude original. Her voice is beautiful with a lot of technical variations. I love it!!! In the middle, she adds a rap to introduce her culture. Na Ying, Harlem and Jay Chou are in the running. Yao Xi chooses Team Harlem. Curious why SING CHINA is no longer called VOICE OF CHINA? Find out here. 朴翔 (Pu Xiang) from Xinjiang sings a classic 恋情1980 with a rock-and-roll, blues slant to it. It has this lazy, buttery feel to it. Harlem and Wang Feng slams the button for him. Suddenly, Jay seemed to have heard something and hits the button, along with Na Ying. There is a hypnotic element in his performance. Finally, he chooses Team Jay Chou! Missed the first episode's summary? Read it here. 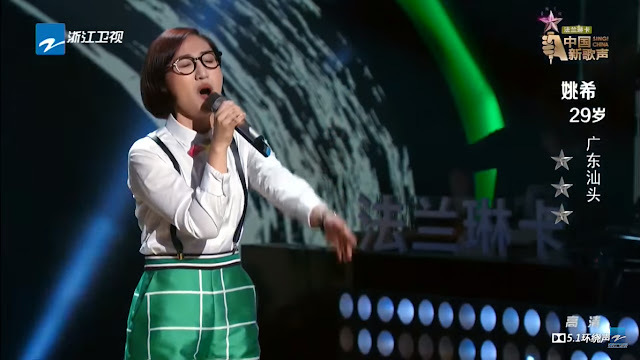 赵小熙 (Zhao Xiao Xi) from Hainan performs Kiss by Prince. His voice is very endearing. All four judges slam the button very very early on in his performance together. His voice effortlessly hits the highest notes and is another Bruno Mars doppelganger on stage. 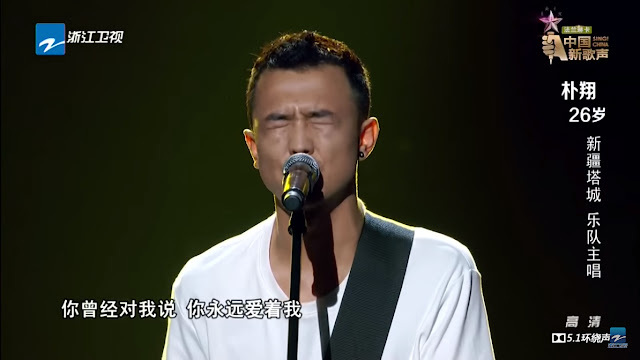 Wang Feng gives him immensely high praise that he is able to interchange his tunes. In the end, he chooses Team Harlem, wrapping up this episode! Who is your favourite contestant of this week? Comment away below!